Cookies are small, flat, baked treats or confectionery items. The term rainbow cookie is used specifically for the cookies that are multi-coloured as the name suggests. They may have any number of the rainbow colours. There are a variety of recipes for rainbow cookies depending on the ingredients used to make them. The calories in the different rainbow cookies may also differ accordingly. The Rainbow Cookies manufactured by Stop & Shop have a calorie count of 90 calories per serving. 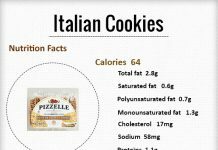 The serving size is 1 cookie or 17.0g of cookies. 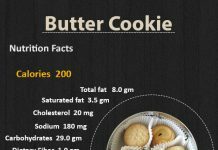 The fat content in a cookie is 5.og with 3.5g of it being saturated fat. The calories from fat specified to be 45 calories. 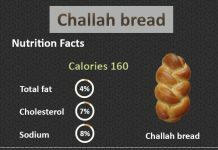 The sodium content is 40mg, cholesterol is 10mg and protein is 1.0 g. The total carbohydrates are 10.0g of which 6.0g are sugars. Betty Crocker produces a cookie mix called the Pouch Mix Rainbow Cookie. 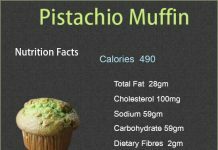 The calories contained in 3 tbsp or 28.0g (serving size) of the mix are 110 calories. 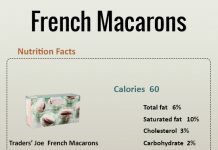 The calories from fat are 18, while the fat content is 2.0g of which 1.0g is saturated fat. 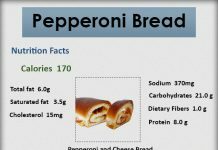 The sodium and protein contents in the mix are 100mg and 1.o g. The total carbohydrates are 22.0g with 13.0g of sugars. The high amounts of sugars are a bad from the health point of view. 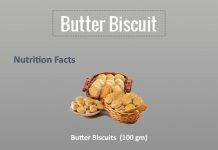 Another producer by the name Keebler manufactures rainbow cookies by the name Gripz Chips Deluxe Rainbow Cookies which are graded D. The serving size being one pouch (25.4g) of these cookies, the total calories are 120 and the calories from fat are 40. 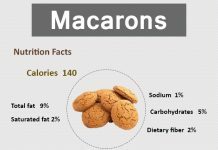 The fat content in the cookies is 4.5g with saturated fat being up to 1.5 g. The sodium content is 95mg, protein is 1.0g and carbohydrates are 19.0g (with 8.0g of it being sugars). 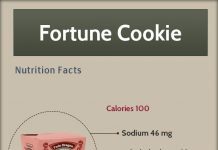 The high amount of sugars in the cookies is negative while the absence of cholesterol is a positive point.